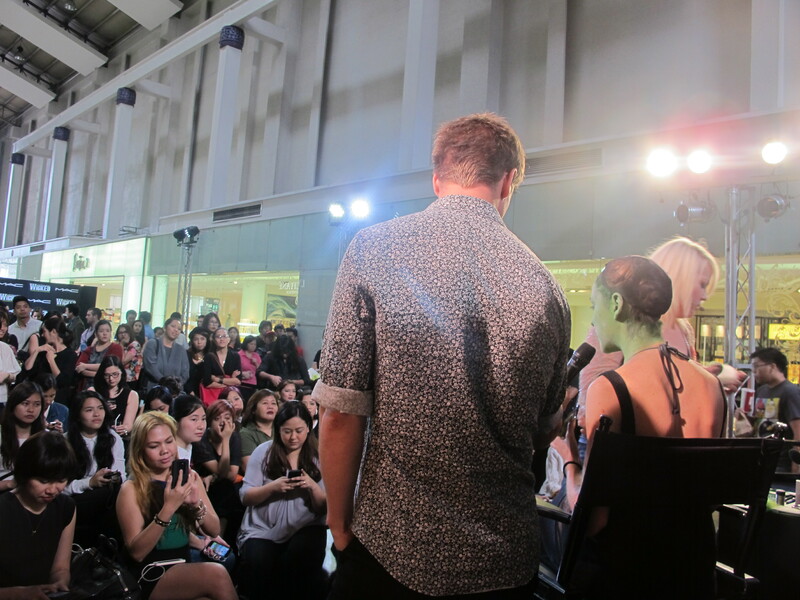 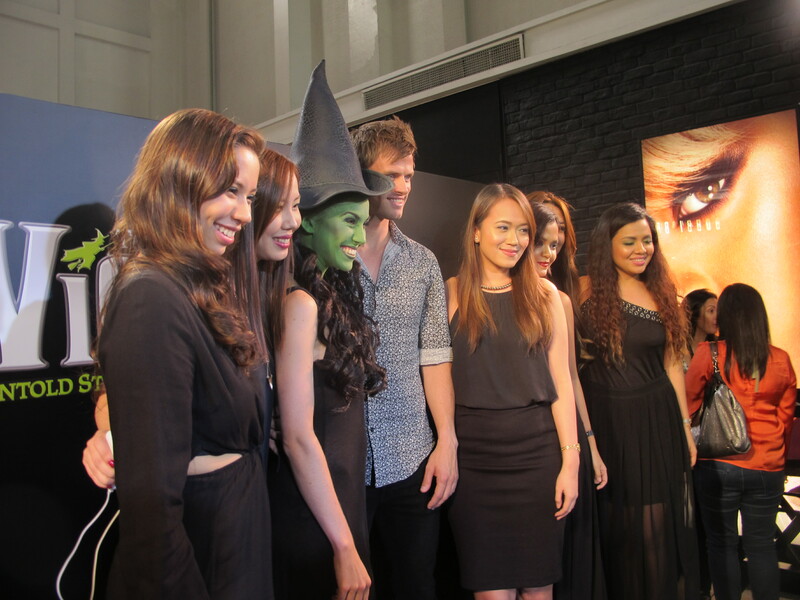 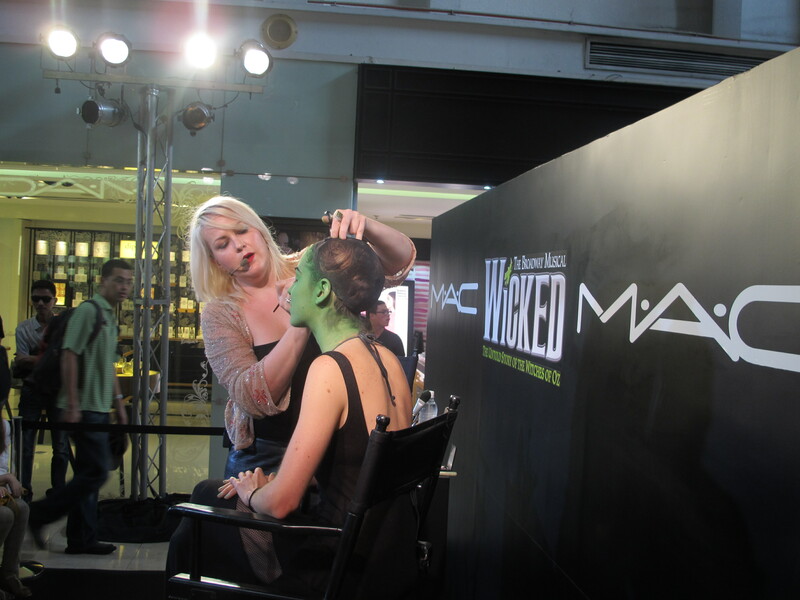 Yesterday, shoppers at Manila’s Rustand Grand Mall were treated to a special peek behind the emerald curtain in a magical event brought together in partnership, by WICKED, its local Manila presenters and M.A.C. 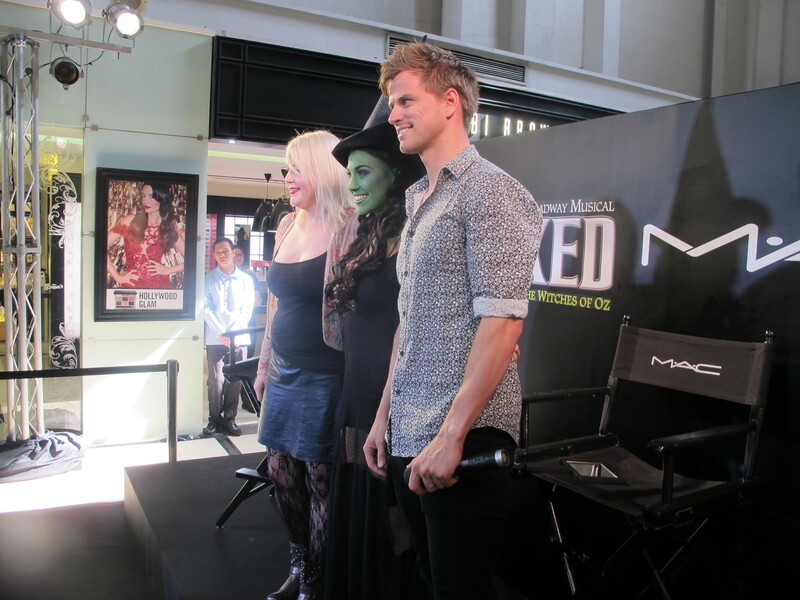 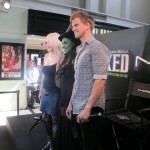 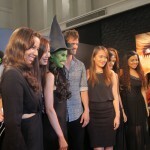 Hosted by M.A.C and featuring Steve Danielsen, our very own Fiyero, as the Master of Ceremonies, this thrillifying occasion provided fans with the chance to witness the greenification process that sees the WICKED Wigs and Make-up department go through one pot of M.A.C green make-up per week. 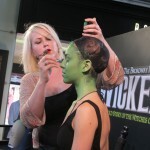 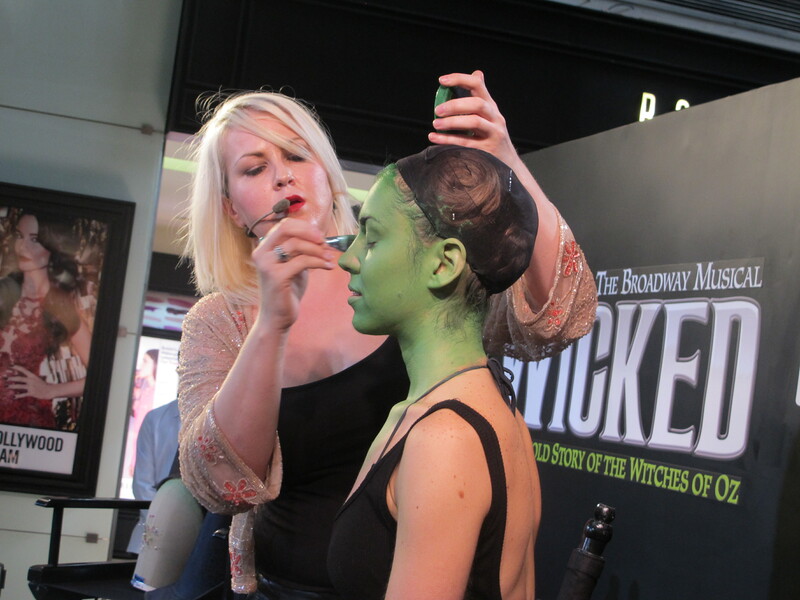 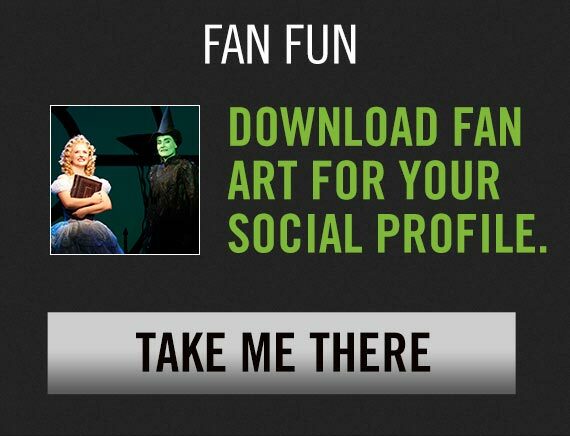 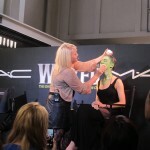 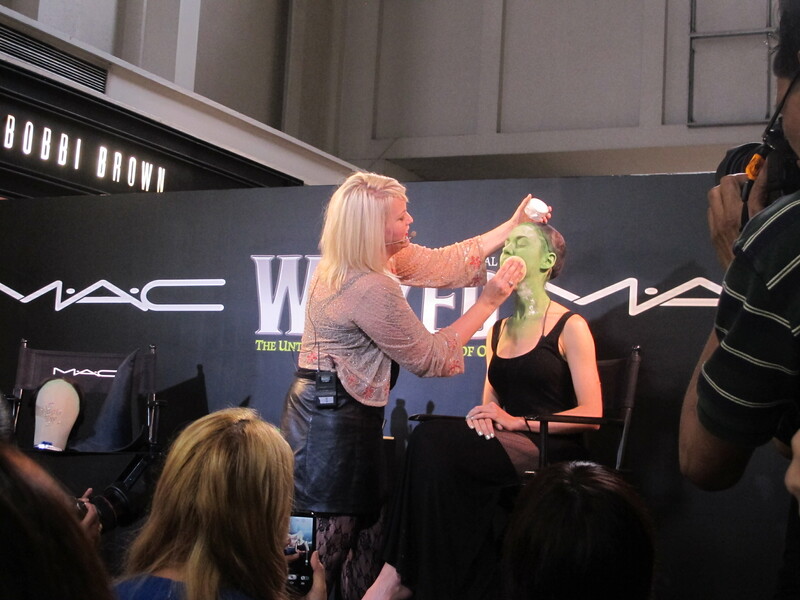 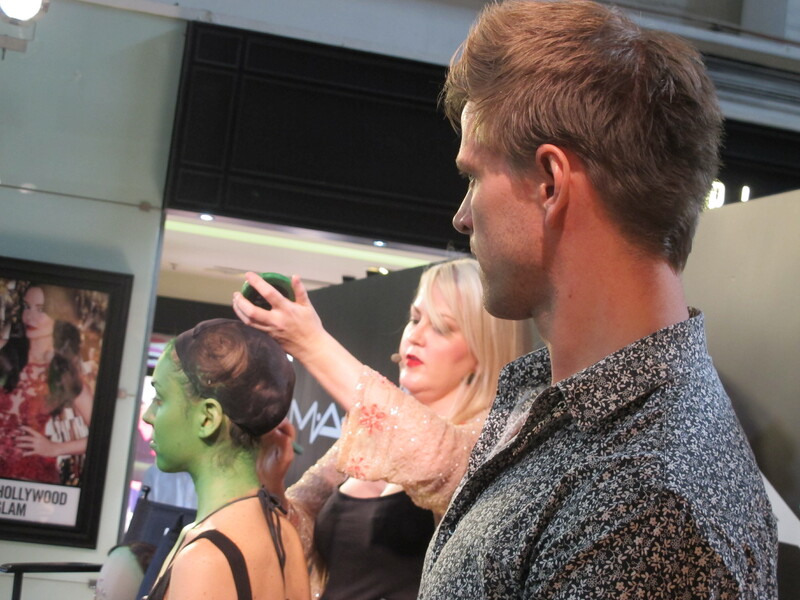 See Elphaba standby, Ali Calder being greenified by WICKED Head of Wigs and Make-up, Kellie Ritchie, for yourself in the gallery below.